IT'S BEE N Q UITE A YE A R AT AS C. Everyone can tap into the decades of co mbined experience and expertise of our in-house experts on our recently launched ASC Experts website. We were recently presented with the 2017 Brilliance in Business A ward for Outstanding Design and Innovation by the City of West Chicago. 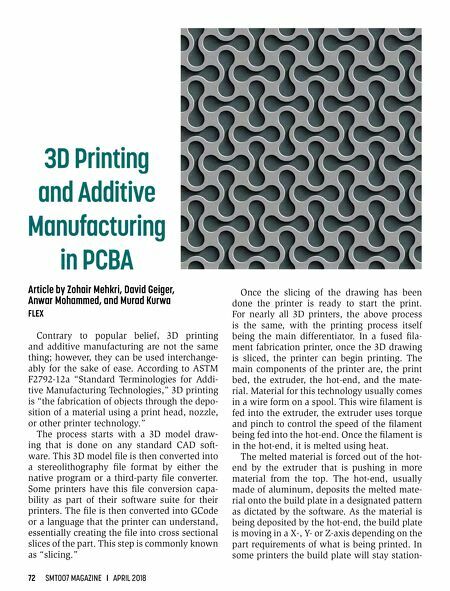 We followed our first eBook on Flex and Rigid-Flex with a guide to creating RF/Microwave PCBs which has been called the "RF and micro wave engineer's PCB fabrication bible". 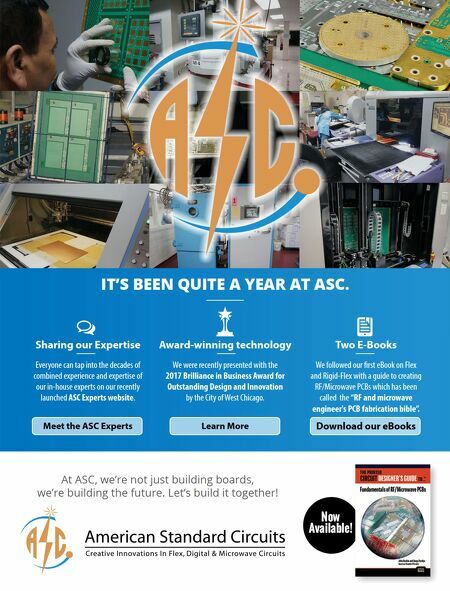 T wo E- Books Sharing our Expertise A ward- winning technology Meet the ASC Experts Learn More Do wnload our e Books At AS C, we're n ot j ust b uil di ng b oar ds, we're b uil di ng t he f ut ure. Let's b uil d it t oget her!